The companion website includes audio downloads narrated by renowned meditation teacher Sharon Salzberg. 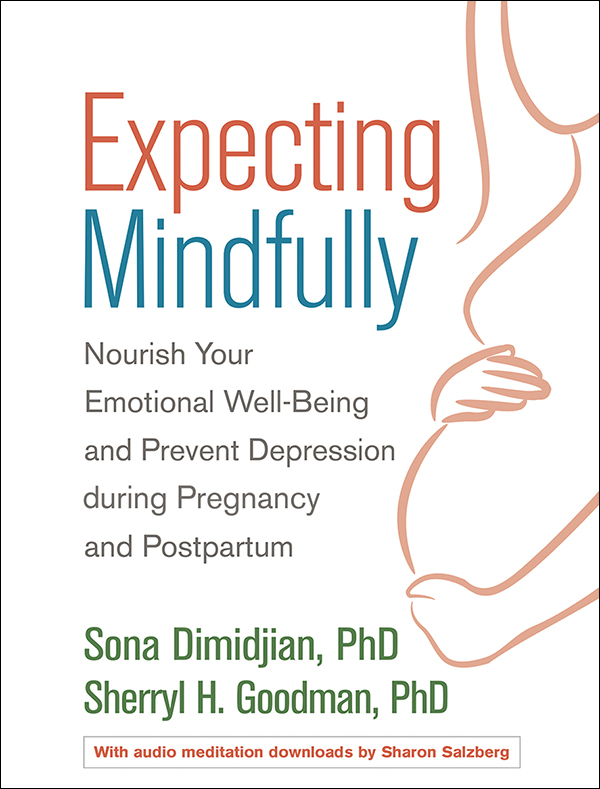 Unlike other mindfulness resources for moms and moms-to-be, this compassionate book is grounded in mindfulness-based cognitive therapy, a proven program. The authors are leading experts on the emotional challenges of pregnancy and early parenting—and how to overcome them. Guided meditations and gentle yoga practices help you build crucial skills to prevent depression, ease anxiety, and minimize stress during this unique and important phase of your life. Clear suggestions for how to follow the program day by day are accompanied by moving reflections from a "circle of mothers" working through the same steps. In a convenient large-size format, the book features journaling exercises and other practical tools (you can download and print additional copies as needed). The companion website also includes audio downloads narrated by renowned meditation teacher Sharon Salzberg, plus video clips of prenatal yoga practices.